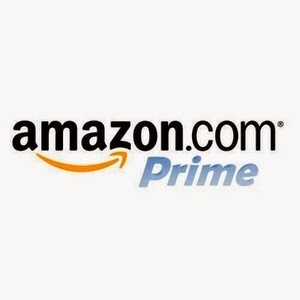 Thrifty in the Burg: Have You Tried Amazon Prime Yet? Have You Tried Amazon Prime Yet? Last year I signed up for a free 30 day trial of Amazon Prime and I loved it! I was able to watch thousands of movies for free! It was easy to sign up and easy to cancel after the 30 days were up. If you want free shipping and free movies, you might want to give it a try. It is well worth it. With Amazon Prime you will be able to have free 2 day shipping on any order. I think this is such a great deal. I recently bought something from Amazon and the shipping price alone made my purchase way more than what I was planning. Shipping rates are constantly going up and I think taking advantage of this is a great way to save on those shipping costs. Even if its just for 30 days. You also can watch movies for free from a huge selections of movies. I loved this! Not only did I have Netflix at the time but having this as well made my movie selection even more exciting! I love movies so this was so much fun for me. If you read books through Kindle then this is another bonus for you. You can borrow Kindle books from the lending library on Amazon. For you music lovers out there, you can stream unlimited songs, ad free. I love listening to music but I hate sitting through the ads. I know they are only a few seconds long but it is still annoying. With Prime you don't have to worry about ads during your music jam! Join Amazon Prime - Watch Over 40,000 Movies & TV Shows Anytime - Start Free Trial Now - Click link to start the trial. Cancelling your free Prime membership is easy. All you do is log into your Prime account settings and click "Do Not Continue". Easy. If you sign up for the 30 day trial remember that you need to keep track of when your membership will end. If you don't cancel by the time the trial is over you will be automatically charged $99 for a year membership. If that does happen you can be refunded the full price if you have not purchased anything. If you are a Student then you can take advantage of Amazon Student. You will get 6 months free of some of the Prime benefits. You will get free 2 day shipping for 6 months. You will have access to deals and promotions exclusively for students. You will also be able to sign up for the full Prime membership for only $49 a year. That's 50% off! You will then be able to have free access to movie streaming and Kindle book borrowing. During the first 6 months you will not be able to access these benefits. Use your student email to sign up for this. Join Amazon Student FREE Two-Day Shipping for College Students - Click link to start the trial. Amazon Mom is a great way to save on baby essentials. You can also get the benefits of the Prime membership as well. You will receive 20% off diaper orders with Subscribe & Save. You will get the free 2 day shipping. You will get a 15% baby registry discount. Also the movie streaming and music streaming. Try Amazon Mom for Free - Click link to start the trial. If you love audio books then you should try the free 30 day trial of Audible. With this membership you will get two free audio books to start your membership. You will recieve 30% off any other audio book purchases. You can cancel this trial anytime and you get to keep your audio books! So give it a try. You have nothing to loose! Try Audible and Get Two Free Audiobooks - Click link to start the trial. I hope you give these trials a go and tell me what you think. I'm not sure that you will be able to do all of these at the same time or even after you have tried one, so pick one and give it a try! Next Week: If you think you are a thrifty shopper, I would love to feature you in a blog post next week! Please email me a picture of yourself while you are out doing some thrifty shopping or a picture of your stock pile to show it off! Tell me some tips you would like to share with others and anything else you would like to share about you as a thrifty shopper! Email me at olsencoupon88@gmail.com Subject: Thrifty Shopper! Have you ever tried any of these memberships? What did you like/dislike about it? Please leave comments! Great tips. I have looked into Prime and I think that it is right up my alley. Going on the list of...things to do in the near future. Especially before Christmas time, this would pay for itself many times over. Thank you Nikki! It really does pay for itself many times! Just this week I started the Audible trial and I love it. I love that I get to keep the books too!